This year, unexpectedly, I traveled on vacation to the Odessa region, namely the settlement Zatoka. I got there at the beginning of the vacation season. Why I was going to the sea at this time of the year, my digging at the sea, and how many detectorists I saw there, you can read about now. In 2017, all the Black Sea coast regions were packed with vacationers. The famous “Odessa route” (E95) was crowded with cars from different countries. So, every time we went detecting and our way ran along this road, a large number of cars from neighboring countries were simply surprising. 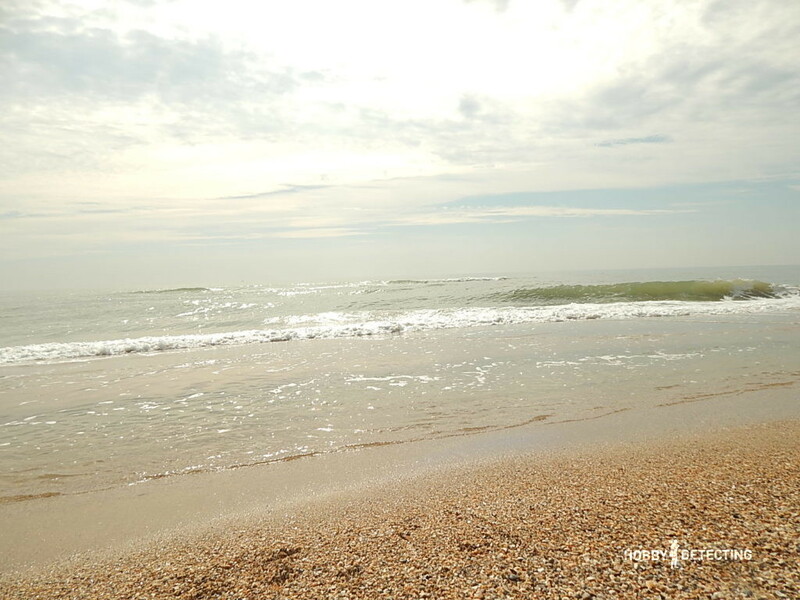 So, I did not plan any vacation at the sea during the season (the end of May-August) – I do not like crowds, and the prices are much higher. So, if you go on vacation in the south, then only in September! Note for the future: the first week of September is still in the season! All the cafes and attractions work, the parking lots are crammed, the beach is full of people, and prices are horrible. But already in the second week, there are noticeably fewer people, as well as entertainments. 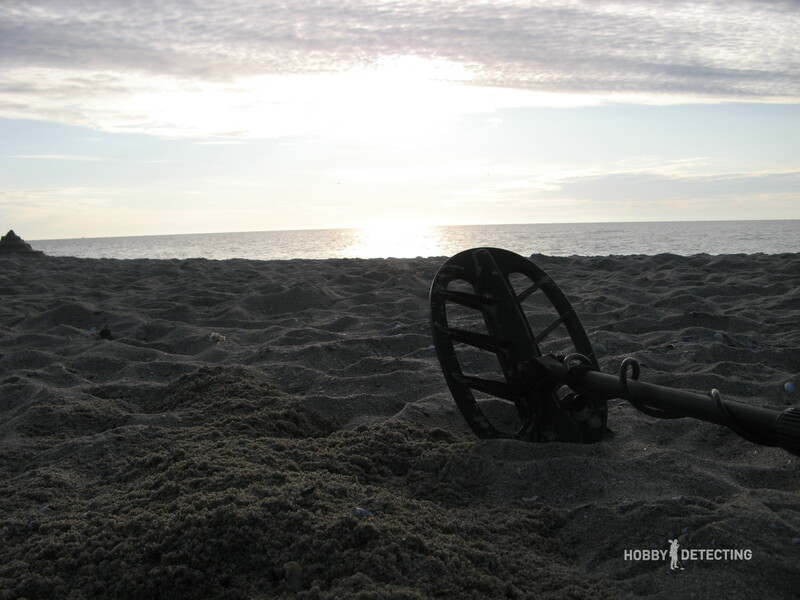 With which metal detector should I go to the sea detecting? After a moment’s reflection on this issue, I stopped at the Fisher F44 with a regular coil (the Storm 13×14 is too big). But why this detector? I was guided solely by one motive: salty sand. The sand grains, especially the sea ones, are such an infection that they and moist air will creep into any gap, and they will cover any metal with corrosion. 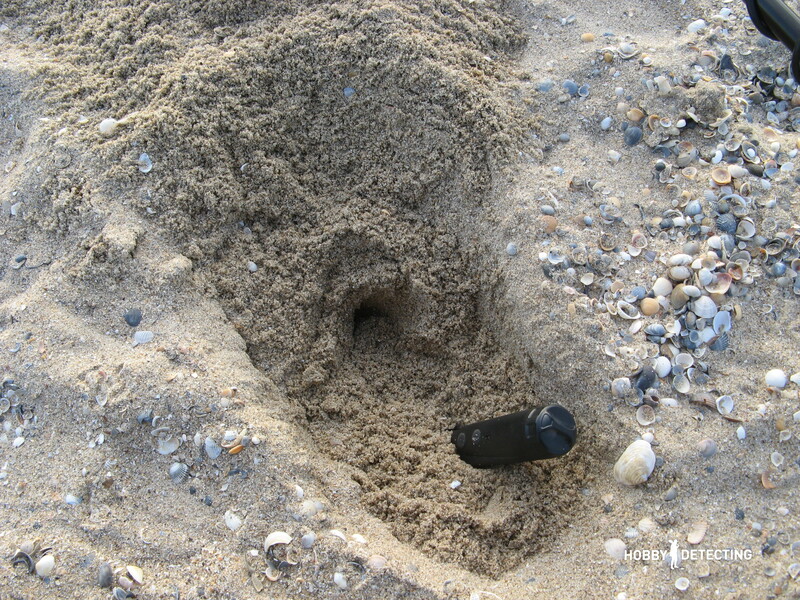 The Fisher 44 is designed in such a way that it is not afraid of moisture, sand or dust – even if it is buried in the sand, the detector will work even after several years. Because of my laziness, I only went detecting twice in my sea vacation. It is very difficult for me to get up at half-past five in the morning when I go to sleep (not always sober) in the middle of the night. Morning. A calm sea and an almost empty beach are a blessing. What else does a digger need? With me on the first day of detecting, I took a boy from our group, because he wanted to look at the “detecting.” And so that he would not get bored, I handed him the pin-pointer and a shovel. And then we went on the sand beach, slowly detecting our way forward. There was practically no trash there, for some reason. 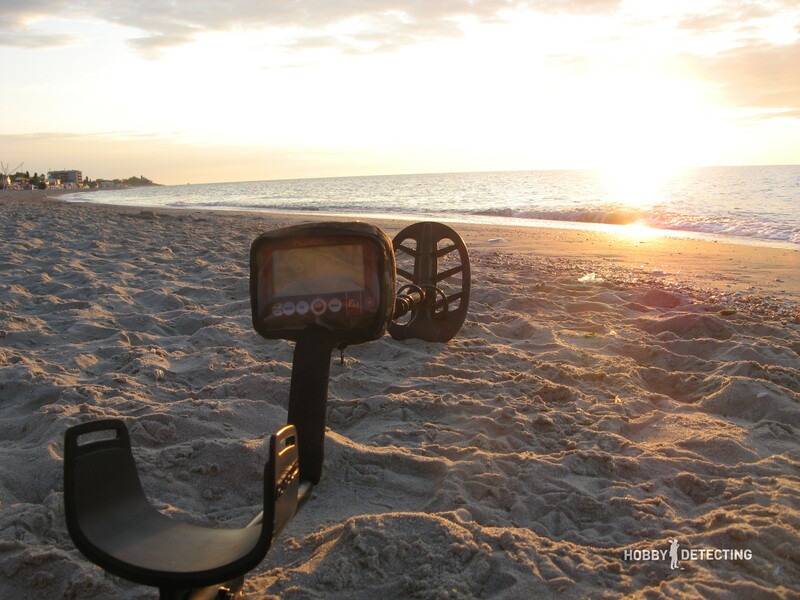 It turns out that every day a special car drives along the beach and cleans up the garbage. I wonder how many interesting things it takes out of the sand? With my luck, there’s not much I can find, but when I’m not alone, then there’s a chance. 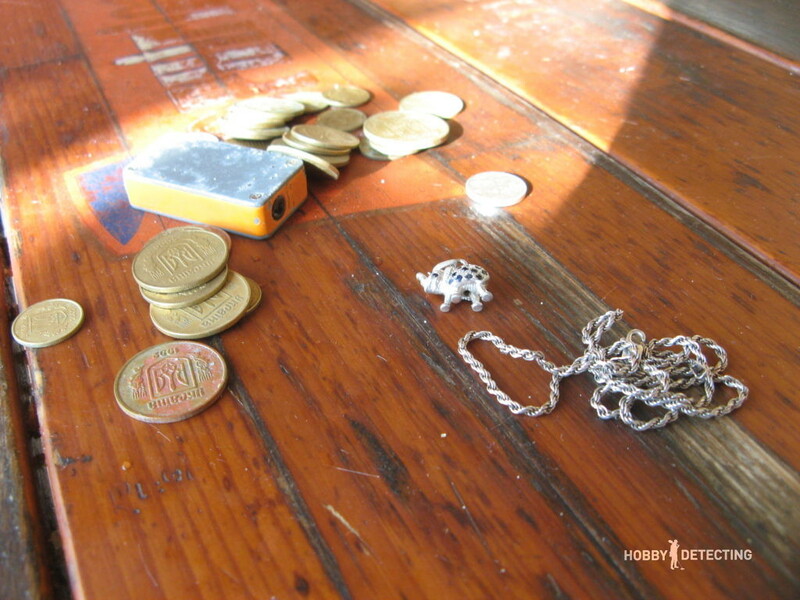 And after 30 minutes of picking up small things, a pendant appeared in the form of an elephant from the sand and immediately after, there was a silver chain. The silver was all because of my lucky partner. At the beach, we also met a local digger with the ACE 300i. I chatted with him for about 20 minutes – I learned a few secrets of the beach detecting, which I have written about a little lower. 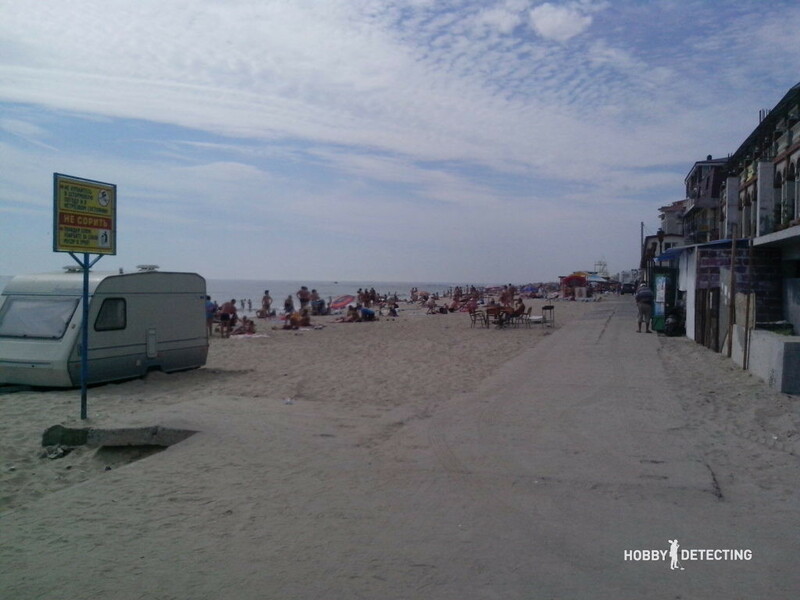 At the beginning of 9 o clock, people were slowly crawling to the sea – so we had to leave. Silver is always a pleasant find. But even so, the boy did not want to go detecting with me anymore – detecting was not his thing. Here is the result of my detecting, in a total of about 4 hours. If the result is good or not, I do not know. If there is anyone here who detects on the beach, let me know, write it in the comments. As you know, the Garrett metal detectors do not work on salty sand. There are false signals, glitches, and so on. Therefore, it is reasonable that I was interested in how the Fisher F44 and the Deteknix XPointer would work on the sea beach and in the coastal zone. Yes, neither Fisher nor Deteknix had a problem overcoming the sand. Even more – their depth of detection did not fall and was the same as at home. In the water zone, there were some false signals because of the water. Dropping the sensitivity solves this problem. After all, to dig in the water, you need to go diving. I did not have diving equipment with me, so I focused on the dry sand. In general, I was completely satisfied with the performance of the Fisher F44. At home, far from the sea, one must wait for plowing to go detecting, and the deeper it is, the more chance to find an old object. On the sea beach, everything is much simpler – you wait for a storm to wash the coastline and voila, new finds. This is known to the locals and after each such strong storm, I watched a local man with a metal detector. But, as the local with the Ace 300i told me, such a sea does not give much. It shares its treasures only when the east wind blows, which causes the waves to boil and wash ashore finds. 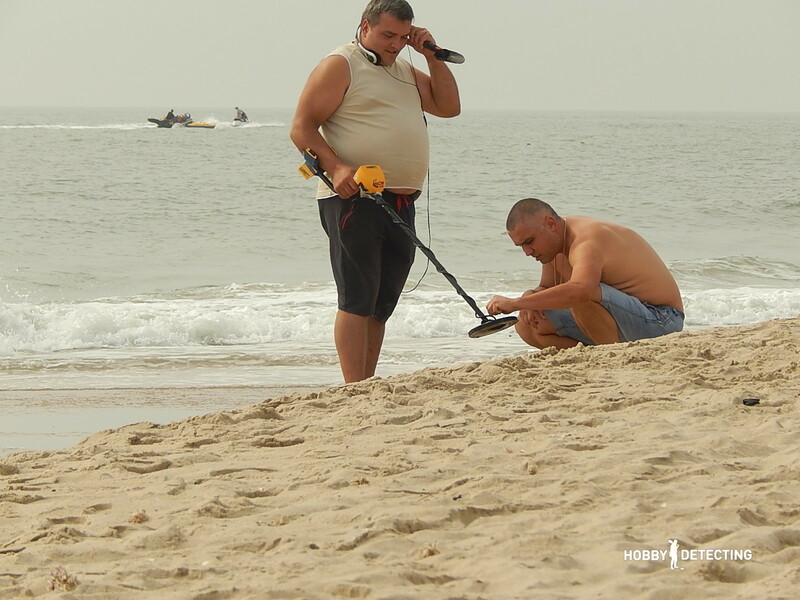 As you understand, the shore and coastline are packed by everything that can be called a metal detector, both by locals and visitors. And why are there no guys with underwater metal detectors? Where are those who do underwater detecting? After all, it is much more finds in the sea than on dry land. And again, the local answered my question. It turns out that they dig in the water only at night! At the same time, the competition is huge. In confirmation of the night underwater detecting, returning late from the beach, we saw a minibus near which the man was preparing for diving with a metal detector. He had a cool outfit – we could see that he was digging much gold. 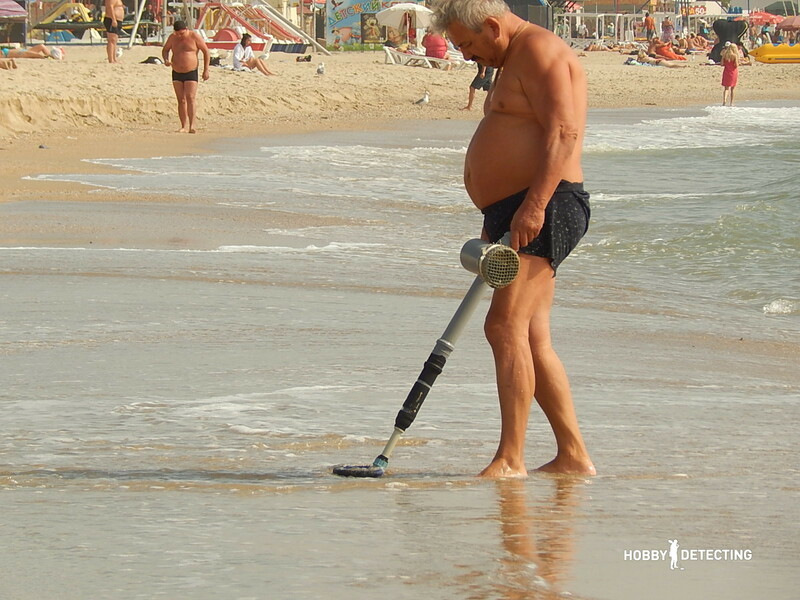 I like the beach detecting. 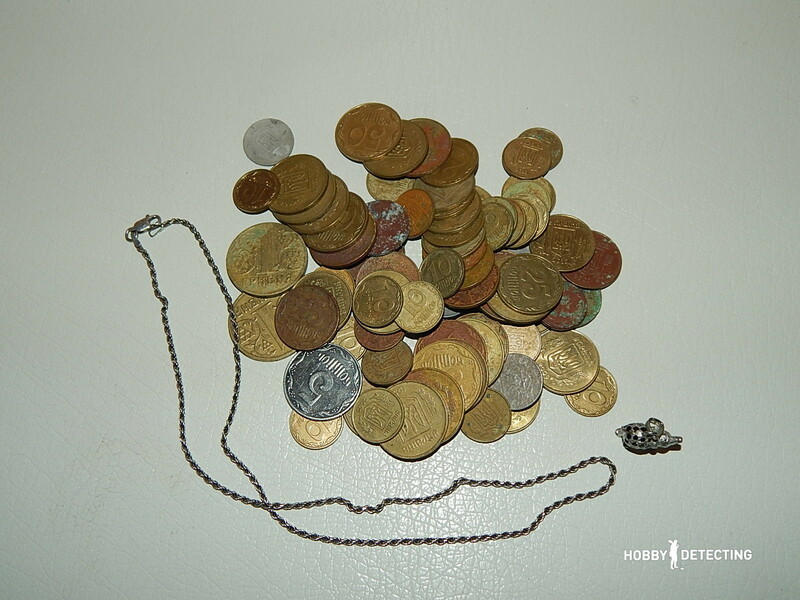 If it were not for my laziness, I would have dug up more interesting things, but so is my result for two short walks: a silver chain and a lot of spendable money. On the beach, I saw only people with the Ace detectors (the one with a self-made detector does not count). I’m sure that with my F44 I would be picking up on them. At the hotel in which we stopped at the end of our vacation, there were less than half of the vacationers. But for some reason, on the beach, there were just as many. It seems that we are not the only “smart” ones: lovers of vacation outside of the season. More stories from fellow detectorists you can find here! Do you have Business partner in the Philippines Outlet For This Product?